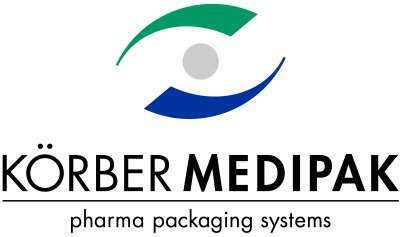 As a worldwide leading provider for pharma packaging systems and technology KOERBER MEDIPAK is a high performing and reliable partner for the international pharmaceutical industry. The group provides a complete range of specialized machines, packaging material and customized services from one source. Thus KOERBER MEDIPAK covers all areas of the packaging process for liquid and solid pharmaceutical products. The broad portfolio ranges from contract manufacturing, specialized packaging development, construction of customized packaging and inspection machines up to "track&trace" solutions and patient ready medication systems. Packaging solutions from KOERBER MEDIPAK stand for maximum flexibility and efficiency of your packaging processes. All the same what kind of product you have, we provide modular and tailor made integrated solutions for all pharmaceutical forms: ampoules, injection bottles, syringes, cylindrical objects or other hard to stack objects. Our portfolio ranges from blister- and sachet machines, cartoners up to inspection machines. Furthermore we provide vision systems and complete track&trace solutions for your packaging lines incl. line management solutions. The know-how and long-term experience of our machine constructors guarantee you innovation and highest quality. Do you have a very valuable product and search for an intelligent packaging? Our packing specialists develop customer made and innovative packaging, that not only protecting our product and perfectly presenting it but also are easy in processing. Thus we master all process steps: from packaging development over prepress, printing, embossing, cutting, bonding up to quality control corresponding to GMP standards. The multidisciplinary cooperation within KOERBER MEDIPAK makes efficient and integrated packaging solution possible, that suits to our requirements and supports the success of your product in long term. KOERBER MEDIPAK Pharma Services means excellent services for your product lifecycle management. Liquids, solids, sterile no matter what Weimer Pharma is a reliable partner for developing, licensing, manufacturing, confectioning, logistics and quality control. 70 years of experience and high qualified specialists for galenics, development analysis and licensing stand for clear competences, security and a comprehensive knowledge of your requirements. Another focus is the innovative business area for patient ready medication solutions. The KOERBER MEDIPAK group consolidates the know-how of Rondo AG, Dividella AG, MediSeal GmbH, Seidenader Maschinenbau GmbH, Weimer Pharma GmbH and AvidiaMed with worldwide 1,400 employees.